Almost everyone inherits some form of trouble from past generations. I was born into a family with missing people, the result of war, family feuds and mental illness. The door to information about them was locked and I didn’t have the key. Who were they? What happened to them? Where were they? Did I look like any of them? With my unanswered questions and the little I knew, I kept them alive within myself and learned to relate to absence. Years passed. One day I found a key, then another and another. I found keys everywhere, in army records, a family Bible, city libraries, state documents, and best of all, in people who had known my father and my mother’s two sisters, the people I was looking for. One of the keys was a map of the route my father’s battalion followed across France and into Germany, where he was killed. Using the map, my husband, Jack, and I found Camp Lucky Strike on the north coast of France, where my father wrote me a letter of welcome when I was born in the winter of 1945. In Germany, I sat on the edge of the crater left by the explosion that blew my father to bits and talked to him for the first time in my life. Another key was a note that fell from Mother’s Bible after she passed away. 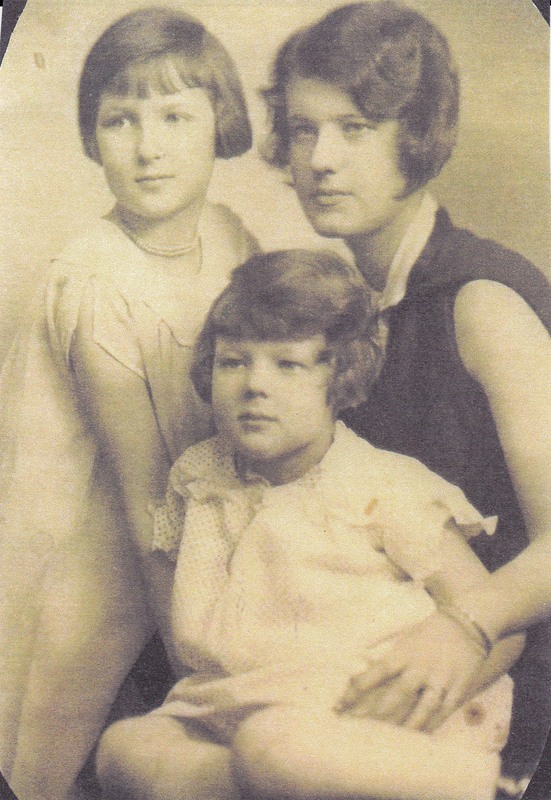 The note and help from many people led me to her older sister, Elinor, who had been sent to a mental hospital in 1936 when she was 23 and the mother of two children. My family had abandoned Elinor and I didn’t expect to find her alive. She was joyfully, fully alive when I found her in a nursing home at age 94, feisty and affectionate, still singing and playing the piano. She, too, had learned to relate to absence. Then I found her children who had been told she had died. I found my mother’s younger sister, Dorothy, and I found cousins I didn’t know I had. The keys that can transform estrangement into connection, troubles into happiness, are everywhere. I’ve learned that we are all keys for each other through what we write and say and do and are. The Beauty of What Remains: Family Lost, Family Found is the story of a search that reunited my family, broken for four generations. It is the story of finding the keys that can change past traumas, separations, and sorrows into wholeness.